Alexander Burganov and Richard MacDonald. 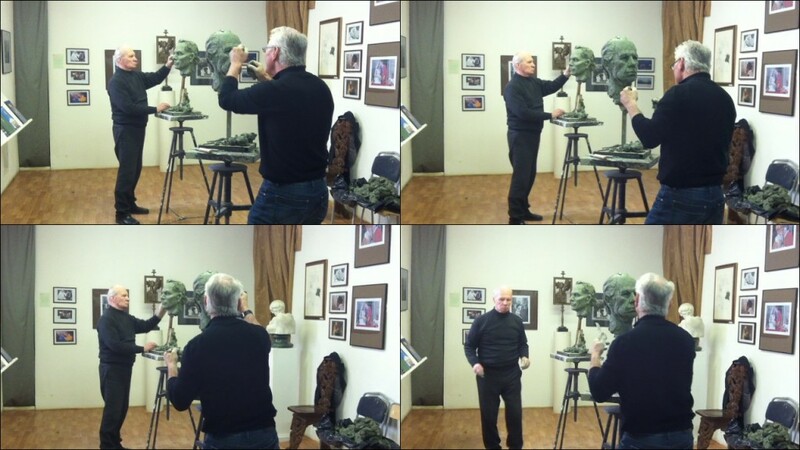 Master­Class “Portrait” At the initiative of the famous American sculptor Richard MacDonald, on February 4, 2012 he made his visit to the museum “BurganovHouse” and the workshops of an outstanding Russian sculptor A. Burganov. The result of dialogue between the two sculptors of contemporary art processes and traditions, methods and concepts of education in different art schools was a joint master­class. Russian and American sculptors sculpted portraits of each other. Action was extremely dynamic and exciting. More than two hours, in spite of the bitter cold, through a huge window of the studio, in which was held this art fight, the audience that did not fit in the room observed it. 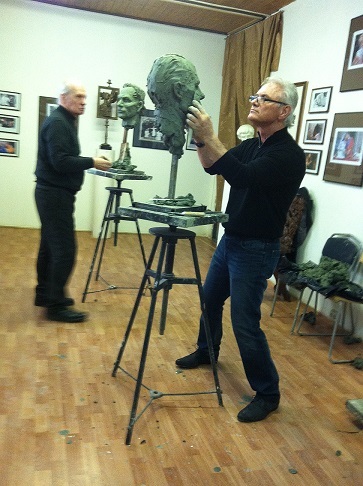 Sculptor Richard MacDonald from California is one of the most prominent figurative sculptors of our time. In 1971 he graduated from the prestigious Art Center College of Design in Los Angeles. Each year, the sculptor’s personal exhibitions are held throughout the US, Europe and Asia. Currently, McDonald is the official partner of Cirque du Soleil. Sculptor Alexander Burganov is one of the great masters of Russian art, whose work is popular in Europe and America, thanks to solo exhibitions which are held annualy, and the installation of the monuments. He is the author of the first Russian monument in Washington, DC, as well as monuments, sites, park sculptures in Germany, France, Belgium, Denmark and others.